The Westlake isn't only a mirror, it is a work of art. It features a round, pleated frame. 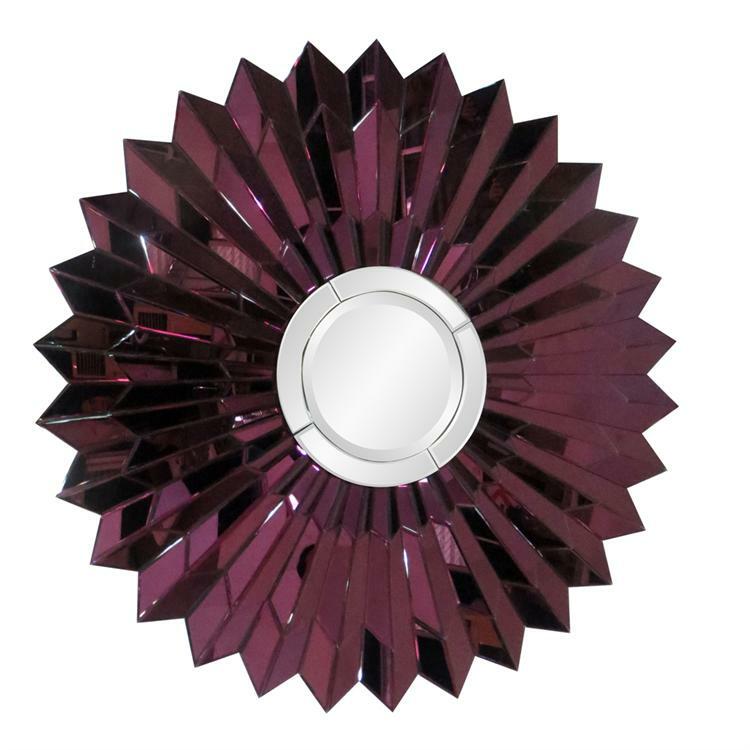 The frame is composed of mirrored bars in the most vivid amethyst purple glass. This piece casts a dazzling display of light and reflections. It is a perfect focal point for any design. The mirrored glass on this piece has a bevel adding to its beauty and style. Customizable for larger orders.